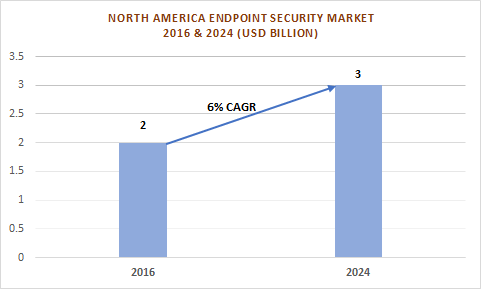 North America Endpoint Security Market was estimated to be over USD 2 billion in 2016 and is expected to grow at a CAGR of over 6% over the forecast timeline. 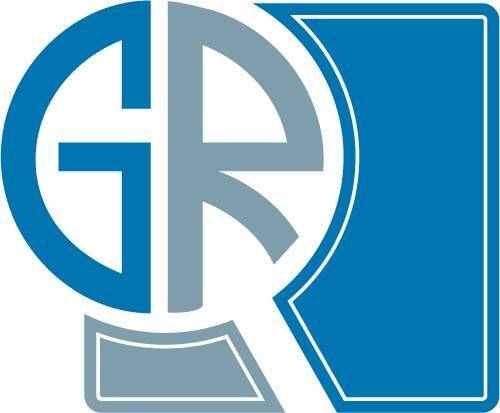 The market growth is attributed to the rise in endpoint security breaches and cyber-attacks. In 2016, financial losses due to cyberattacks on the U.S. organizations amounted to financial losses of over USD 57 million. In this region, data breaches are gaining more attention due to the huge adoption of digital platforms and the growing trend of workforce mobility. The increasing popularity of digital platforms for conducting business has given a new dimension to data breaches in terms of size, volume, and cost. In the component segment, the endpoint security software market is projected to hold a major portion of the market share of over 65% in 2024. The demand for mobile device security software is expected to rise due to the rising penetration of smartphones and the increasing number of online transactions done through mobile platforms. With the rise in the number of mobile devices being used in corporate networks, enterprises are focusing on developing effective mobile endpoint protection strategies to address security threats. The cloud deployment model is expected to witness the fastest growth rate of over 9% during the forecast timespan. The cloud platforms make it easy for enterprises to monitor the remotely-connected devices. These platforms provide incident responders with right information so that they can start working on the issues and respond swiftly to avoid any kind of data loss or theft. The U.S. endpoint security market is expected to hold a major market share of around 84% in 2024 due to the rising incidents of cyberattacks on advanced IT infrastructure. The supportive cybersecurity policies and initiatives by government agencies to enable organizations to effectively respond to the threat landscape will also augment the adoption of endpoint security solutions. The endpoint security companies operating in the region are investing heavily on R&D activities to develop new & innovative security solutions that can address the rising security challenges. For instance, in April 2018, Cisco added email security capabilities, such as domain-based message authentication, reporting, and conformance support, to its AMP for endpoint platform. The companies are also entering into strategic partnerships to enhance their technical expertise and skills for developing effective IT security solutions. For instance, in May 2017, Cisco and IBM teamed up to improve security effectiveness for customers through technology integration, services, and threat intelligence collaboration. IBM provided outsourcing and managed security services to support Cisco’s security platforms and offered solutions that complemented its existing architecture. Some of the leading endpoint security companies operating in the region are Cisco, F-Secure, IBM, Microsoft, Symantec, VIPRE, Trend Micro, ESET, Kaspersky Lab, Webroot, Sophos, Ahnlab, Comodo, McAfee, and Panda Security.